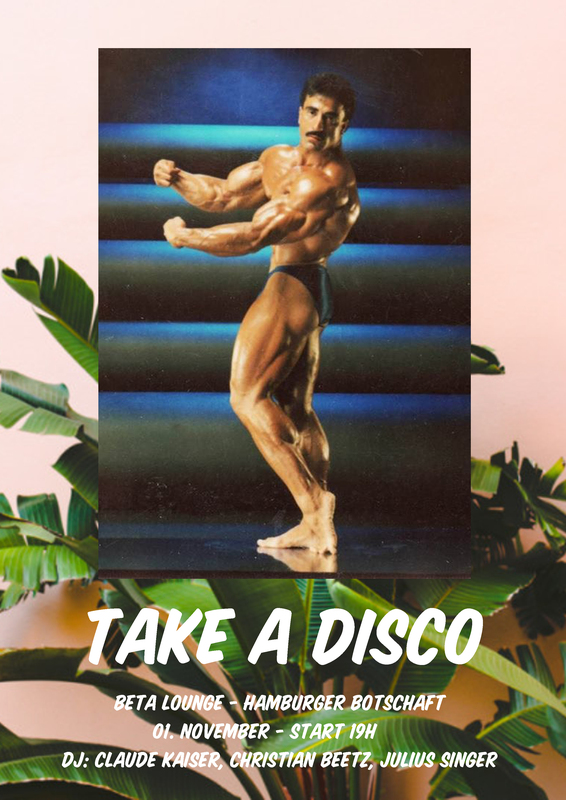 Coming out of Darmstadt “Take a Disco” Collective consisting out of Claude Kaiser, Christian Beetz & Julius Singer has established a real own Groove for their Party Nights. Their sounds and guests feature a wide musical spectrum between Boogie, NYC-House and Cosmic Beats. It’s their second appearance on Beta Lounge and won’t be their last! or feel free to call me, scott 617-501-3160…..I live in boston *nightmare* but called SF home for about 3 years, dying to move back there, should I rent a room at a hotel in the tenderloin?